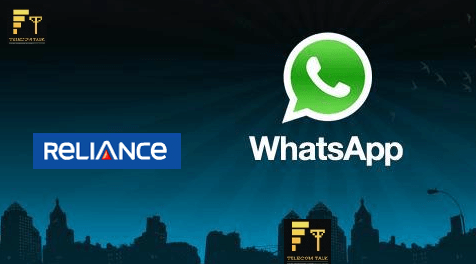 In an endeavor to provide affordable Mobile Instant Messaging Services at damn cheap rates, Reliance Communications (RCom) comes up with value for money offer daubed as “WhatsApp Plan” at Rs.16 for its GSM prepaid customers across India. Reliance Mobile’s “WhatsApp Plan” offers unlimited access of WhatsApp to all prepaid Reliance GSM customers in the country for just Rs. 16 per month without paying any extra data consumption (GPRS/3G) charges across India. Facebook is bundled complimentary in this pack for a limited period and hence a customer use of WhatsApp and Facebook is absolutely free on the Reliance network. “WhatsApp Plan” is available with a validity period of 30 Days from the date of recharge and the plan is auto-renewed every 30 days unless unsubscribed. After the launch of My College Plan at same price on September 25th, 2012 as we shared on TelecomTalk, this is the similar but yet another new product open for all prepaid subscribers across India.